With Alibaba being the biggest B2B marketplace in the world, and having millions of listings for suppliers to choose from; finding the product you are looking for is easy. The hard part is finding the right supplier amongst the many listed. Alibaba is based in China, the world’s leading manufacturer. Sourcing from China thus needs a trusted and efficient sourcing agent that simplifies order fulfillments and deliveries. 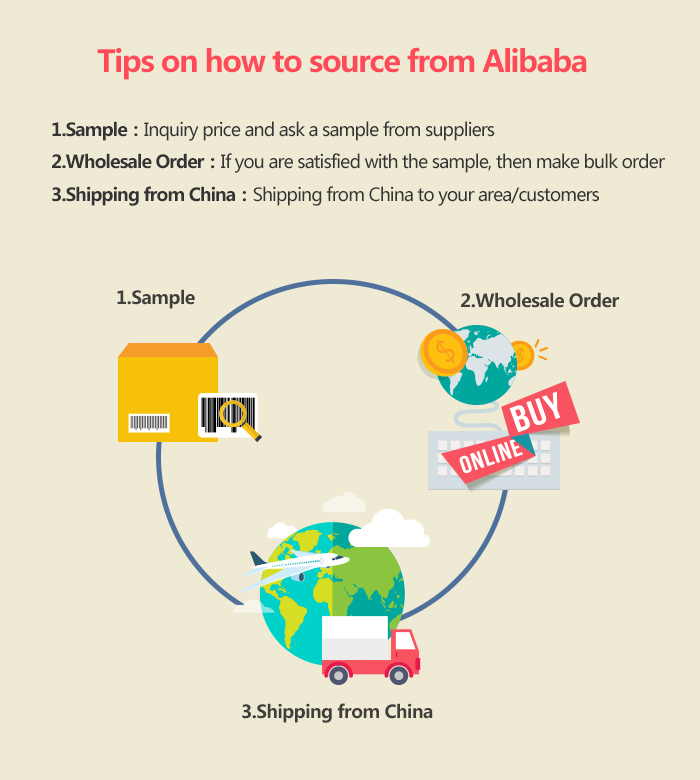 Importing from China is an intricate process that involves a lot of paperwork and there being too many scammers, counterfeit products and middle men who want to take your money, you need to know how the safe ways of sourcing from Alibaba to avoid losing money. The main reason is to benefit from the low manufacturing costs, this leads to lower prices on goods compared to most parts of the world. Suppliers in China are also open to work with small business and can offer competitive prices for small orders, this is because they are many suppliers and competition is high. Many products are also exclusively produced in China and one stop sourcing and shipping services like Alibaba have made it easy to navigate through finding suppliers. However there are downsides too in sourcing from China, these include: customers perceiving that the products are of low quality thanks to some scam middlemen, importation and custom clearance problems, a longer shipping duration and little intellectual protection because some suppliers don’t respect patents. You can bypass all these problems by outsourcing with reputable sourcing agents like ChinaDivison where all the trouble is taken off your shoulders because they take care of all importation aspects and save the customer time and money. Talk to customer support about the product they offer and see if you can negotiate for a better price, in Chinese business culture everything is negotiable, use that to try get a better price. Once you have talked to different suppliers decide which suits your needs better. Ask for samples of the product to check for quality, get as many samples as possible before choosing because at times there might be newer models that haven’t yet been put up by the supplier or products that have been discontinued. When making contact; be a specific as possible, this way your supplier knows what you want and will not try to convince you to buy cheaper low quality products. on badges on different products that should assure you that the product you are sourcing is of high quality. Visiting the factory yourself to verify is the best option if you are planning to place large orders. Alternatively you can pay for third party services that visit the factories on your behalf to verify the quality and the supplier. This helps in avoiding middle men who mostly will source for substandard quality products so that they can make big profit margins. Read reviews and research about the supplier; the best usually have a gold member status. Reviewing also tells the buyers if they are dealing directly with the manufacturer or a trading companies acting as middlemen. Trading companies usually have lower Minimum Trading Quantities (MOQ); if the buyer wants a large order, trading directly with the supplier will be cheaper. If the product you are sourcing makes the bulk of the supplier’s catalog on Alibaba then chances are that you have a specialized supplier that will deliver quality. Keep constant communication and follow up to know more about the supplier and familiarize with their process. There should be options like PayPal or Escrow with money back guarantees incase quality isn’t met and the product has to be returned. These two options are safer than wiring money or using Western Union which is a one way payment. The buyer should feel safe working with a supplier and many payment options are indications of a supplier that can be trusted. If the supplier insists that policy states that they only accept wiring money you are most likely being scammed. As discussed earlier importing from China can be a lot of work. Finding the right agent to cater for all the sourcing from China needs is the key for having a smooth import process and timely deliveries that will save you on cost. Outsourcing importation to agents simplifies the task because they handle the process including legal services on the customer’s behalf. Experienced importing agents like ChinaDivision simplify importation to a mere click, you create an account, create an online inventory with the help from the executives, then source for a product with the option of delegating to the agent and afterwards set up your inventory. Warehousing is offered free of charge for 30 days with affordable charges afterwards. When the product arrives it is checked against your order to confirm that the specifications are met and any discrepancies get reported so you can sort the issue with the supplier. With agents the products need not be packed and shipped to you, you can receive orders from other customers and the agents will pick, pack and ship the products to your customers directly according to the specifications you give. These specifications include adding logos or notes on the products and this saves a lot on costs. 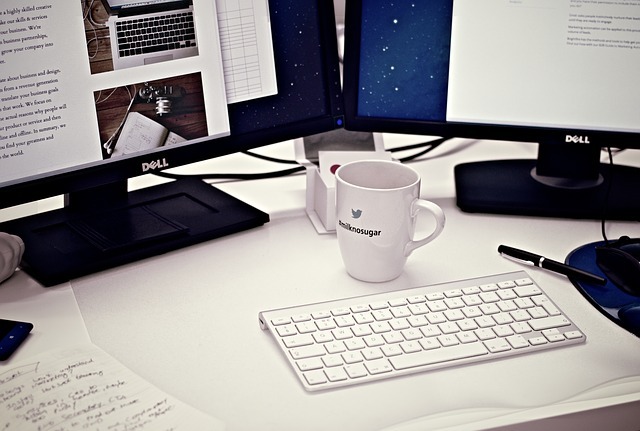 What follows is the seller validating addresses and monitoring inventory. 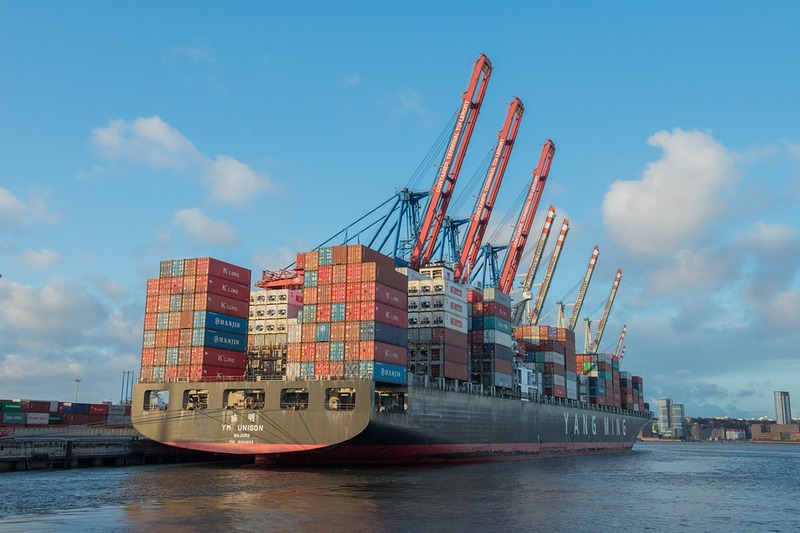 Outsourcing importation from China to agents also sees them managing returns and minimizing inventory loss by ensuring proper handling and delivery while shipping. * The customer is guaranteed saving on money and prompt delivery. * workforce expenses are greatly reduced because products are sent directly to your customers. * Returns are managed on the seller’s behalf. * The seller can do business without physically handling any product, Warehousing costs are also greatly reduced. Sourcing from Alibaba and importing from China therefore should never be a worry, partnering with dedicated importing agents; any online business can expand into new markets. The world is a global village now and geographical boundaries shouldn’t be barriers into accessing new markets. Sourcing from Alibaba is a good venture for affiliates who want to run their own business. No order is too small or too large because the agents have large warehouses and advanced warehouse management systems that guarantee smooth control of the importation process. The main purpose of any business is to make profit. Profit making can be achieved by reduction in costs input. Shipping is the most expensive part of orders so getting a great price is essential to reduction of inputs and in return maximizing profit. The passion or love you have for the product. The shipping costs in relation to the size of the product to be shipped. Products, which can be shipped in large quantities, can be far less expensive than those that cannot. More to that the size of the product about to be shipped this will help evaluate how much you can fit into one shipment. The uniqueness of the item is also to be put in consideration. A product that is less unique risks production locally hence beating the whole reason of importing. Identify Chinese exporters, rather the suppliers who will meet your desire. List the suppliers, suppliers can easily be obtained from professional sourcing companies and online outsourcing directories. Once you have identified and listed the suppliers it is now time to contact each supplier on your list. Ask questions relating to the product this will help narrow it down to the supplier who is most appropriate or best suited for you. Client testimonials. A reputable enough supplier will give reference where one is required to obtain credibility information. The supplier should give the name and location of the factory producing the product failure to which indicates a non-reputable supplier. Obtain information on the experience of the factory in producing your particular product. Cost is not the only the consideration when choosing a supplier, quality may be just as important, and the manufacturer’s experience can be a good indication of the quality of work. Obtain samples of the product, the supplier should be able to provide you with samples of the product so that you can get a better idea of the product. However this depends on the product you intend to import. After adequate communication with various suppliers and identification of the best supplier negotiate a deal with your favorite supplier. During negotiations it’s key to focus on relationships. Suppliers will mostly engage with people with whom they are familiar with. Locating and listing resellers is also key when indulging in the import business. Locating resellers involves; contacting potential reseller, follow up within the next few days. A suitable warehouse and good warehouse costs is also essential. While choosing a warehouse various factors should be put in consideration among them; the general cost of warehousing, the handling of the imports, availability of needed equipment to handle the products, security, order and after storage services. Some of the after storage services that might be offered by product handlers include brand strengthening customized packaging of your goods such as printing a logo on the shipping bag or placing a card in the customer’s package. The origin agent also known as a freight forwarder. The origin agent is the local company involved in visual survey. It sends a representative who sees the cargo being shipped just before quoting the move. this helps give an accurate quote. the freight forwarder will also do the packing and loading the shipment. The Consolidating Warehouse the consolidating warehouse is the holding station where, incase yo never had an exclusive container the goods will be held into a container with other goods or rather cargo in order to fill the container. your goods are to be held in the consolidated warehouse waiting for more goods in order to be transported all together. An export port. 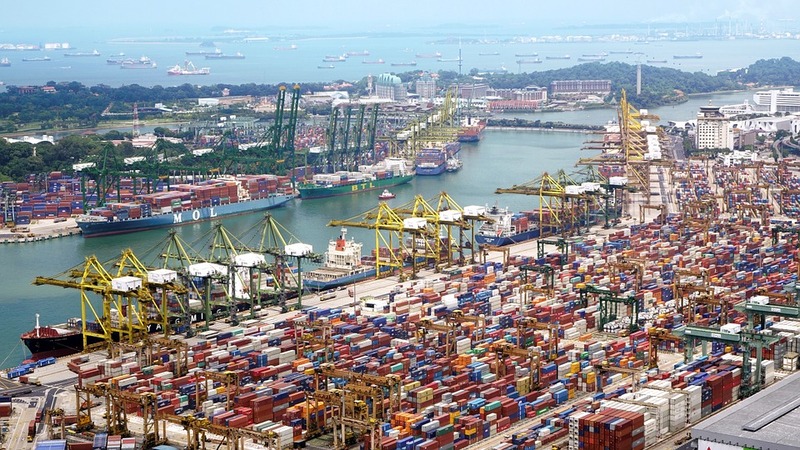 An export port is the port where the container is loaded into the ship this is most likely located in the country of the supplier. A ship line this is the shipping or the company that owns the ship. A container line. This is a company that owns containers the containers may be rent out to interested shippers. The container line may at times be the same or otherwise as the ship line. The destination agent. this is a trustee in form of a company. the trustee handles custom clearing activities, port dealings and also involved in delivery to your desired location. The broker. This is a move manager he is involved in any other activities that involve shipping. Crowdfunding is the new Fairy Godmother when it comes to getting some support for developing a good idea. If in 2011 the crowdfunding market was $1.2 billion, it grew up to $10 billion in 2014, and is expected to generate more money by the end of 2015, according to Forbes. Each great business is now closer to become a success, but it requires a lot of work, dedication and creativity to be able to develop a good product and to improve it according to the market demands. Crowdfunding fulfillment comes immediately after, but it isn’t less important. People who made millions starting with money raised online admit that fulfillment can easily kill even the best project, as it requires time, managerial abilities, special software for the warehouse inventory, a complete team to work on shipping and fulfillment, and more. ChinaDivision.com, a company specialized in crowdfunding fulfillment, recommends working with a reliable partner, which has the right infrastructure and optimized transit times, when it comes to crowdfunding fulfillment services. Employees, providers, development plans, new products and costs are consuming a lot of the entrepreneur’s time. Why add more problems with picking, packing and shipping orders? And this is not all of it, because there is also the inventory of the warehouse, the returned products, and more other. Having a professional company to deal with all these can reduce not only stress and time wasted, but also can save a lot of money. ChinaDivision.com has a special fulfillment service which can save time and money for any person or company which runs a project based on crowdfunding. By working with such a company, the entrepreneur can reduce workforce expenses and shipping costs, as generally fulfillment partners offer good volume discounts. A good business idea must be carefully marketed. There is a complete strategy to create and implement and the entrepreneur must be always available and ready to dedicate full time to it. Fulfillment and delivery are generally demanding processes and they rarely leave time or energy for focusing on the product and on the customer service. On the other hand, a company which offers crowdfunding campaign services can handle easier the shipping and fulfillment, because it already has the know-how and the complete infrastructure to deliver in any part of the world. In an era when everything happens now, fast deliveries are a must. Most people who support an idea through crowdfunding expect their promised rewards to arrive on time. This generally happens only when the fulfillment is managed professionally. People with few experience in the field rarely succeed in doing international deliveries fast while still keeping low prices. Estimating times and costs is sometimes hard, as it involves package, postage, customs and various VAT taxes. To make crowdfunding fulfillment affordable, ChinaDivision.com has a special location which allows reduced transit times and uses a system of combined customer orders in order to maintain low costs. Moreover, they also provide a series of marketing services meant to build the Brand’s Identity and also to keep customers and backers satisfied. In recent years, China’s economy has been booming and this can be attributed to the huge business opportunities available. Merchants and businesses alike, have realized major profits from importing and reselling cheaply sourced goods from the great Republic. Unlike before where you had to personally travel, E-commerce and the internet generally, has made it much easier to amass wealth without having to do much. However, it is not that easy and the processes can be time consuming to busy businessmen. This is the major impediment while sourcing from China by yourself besides the obvious ones mainly language barrier issues while negotiating. Fret not though; such occurrences can be easily avoided by working smart and using the right channels for order fulfillment – one word; ChinaDivision. It is of paramount importance to note that the cultural barriers besides the language barrier concerns mentioned can potentially stall your business operations if not careful. Simple procedures such as finding the perfect wholesaler with quality products to negotiating the right price that suits your budget can take a while – the main reason why most importers use agents while sourcing from China. 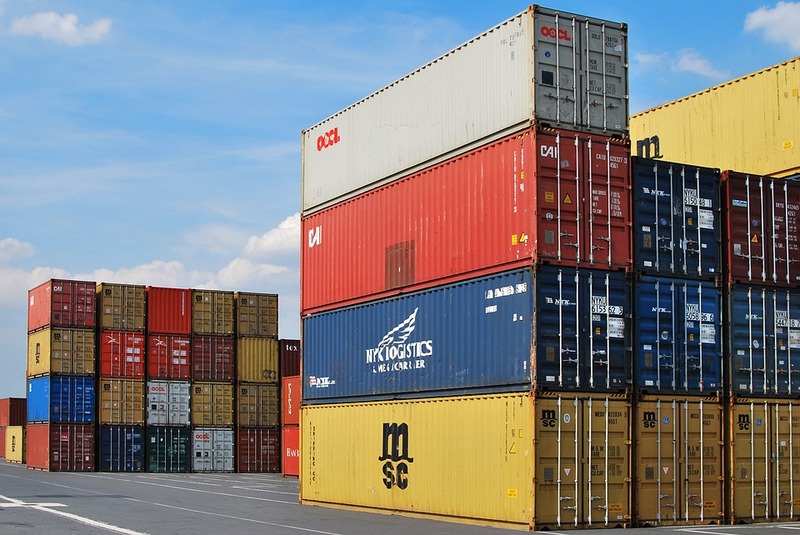 Therefore, using a China sourcing agent to import goods would certainly be in your best interest as a merchant or business and below, are a number of valid reasons as to why this is so. Sourcing from China is a trend that has been on an upward trajectory in recent times, thus explaining the rising number of sourcing agents in the Republic. However, finding a reliable, low cost country sourcing agent such as ChinaDivision can be quite an uphill task. Essentially, you will have to find an agent that fully understands your needs and more importantly deliver on time. Lately, ChinaDivision has been creating the entire buzz in business circles as the most popular sourcing agent – a fact that can be attributed to the company’s ability to cater to the client’s specifications and attention to detail. Over the years, the company has amassed a wealth of experience, creating an expansive portfolio in the process in the fields of warehouse management, E-commerce fulfillment, products management and order processing. In short, ChinaDivision works at ensuring your products are picked (as per the client’s quality standards), packed (with a printed logo on the packaging if requested), and shipped safely. With this said, what exactly are the benefits of sourcing from China using ChinaDivison as an agent? Time Efficiency – as stated above, sourcing goods yourself can be quite challenging in regards to the time spent finding quality products and negotiating for the best price. Therefore, by allowing the leading sourcing agent to handle your order fulfillment, you have more time on your hands to focus on other business related issues concerning your organization as the company quickly sources the required products for you in due time. 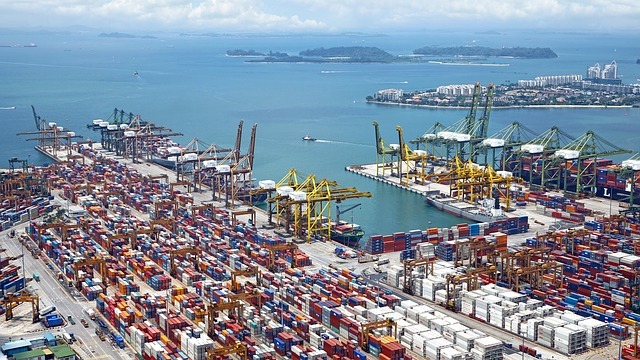 Also, the company is located in Shen Zen which is in close proximity to Hong Kong – the international parcel processing hub meaning the transit time is immensely minimized for an enhanced user experience. Quality control – you have built your company’s reputation from scratch through hard work over the years, why then let it be ruined over fake or low-quality products? By sourcing the goods yourself, you remain prone to quality issues. China’s leading sourcing agent thrives in improving customer service by not only ensuring that your products are of the expected quality standards, but also by enhancing order fulfillment on time to improve service delivery thus maximizing on profits. Missing delivery deadlines can greatly damage your reputation as a merchant thus in your best interest to let experts handle your orders. All said making use of the infrastructure lay down by the company while sourcing from China can greatly improve your business model, save costs and allow room for growth. For more information on how to get the best sourcing services in China, contact the warm customer service staff to get an insight. Many businesses order need the Cheapest international shipping, China shipping company, shipping from China when ordering products from suppliers in China. In some cases shipping is the most expensive part of their orders so getting a great price is essential to maximizing profit. If you use the tactics listed below then you are one step ahead when it comes to getting the best shipping rates. There are many things buyers should be aware of when ordering products from China to get the best shipping rates. When getting quotes from suppliers they can ship your items from a variety of carriers. The more expensive carriers like DHL, FedEx International, and EMS offer the fastest shipping times (usually 2-4 business days). The more cost effective carriers like post and others are very slow sometimes even 15 days to one month to deliver your products based on your location. It’s essential to make sure you know when you need your product so that you can use the best shipping company for your situation. It is a common saying that when the quantity ordered increases then the price should decrease. This is also true when ordering products from China. There are shipping fixed costs and then a variable cost of the weight of the items. So when you calculate a rate with a shipping company they are plugging this information into their system to give you a price. (This method will depend on your item’s size but works better for small to medium items) If you are ordering a product like coffee mugs then trying to order just one mug will be expensive but when you order 50 mugs the shipping will be cheaper per unit. It’s all about saving you money on shipping from China because you also have to ship the item to your customer once you receive it. If you believe that your supplier is not being truthful about the shipping cost for your shipment then check the price for yourself on a shipping calculator. You will need to know which carrier you want to use and the dimensions of the packages you are shipping but this is a great way to do-it-yourself or just check a supplier’s pricing to make sure you are not getting screwed over. Sometimes suppliers over inflate the price of shipping to make some extra profit from buyers so beware of this scheme. Buyers who use these tactics listed above are set to make more profit on their purchases from Chinese suppliers. Once you know how the shipping game works then you can begin to use it to your advantage and make your suppliers work in your best interest. The only problem is that this process is sometimes confusing and it is time consuming. At ChinaDivision we manage the shipping process for your business so that you can focus on what you do best. We can streamline your inventory management and deal with suppliers to help your business work smarter not harder. Contact us today for Cheapest international shipping,China shipping company,shipping from China. We are your one stop shop for all things shipping, logistics, and customer satisfaction. We understand that you need your time to focus more on your business and customers, time is precious and we’ve all experienced how disappointing and boring it is to wait for days to have your products shipped and received, chinaDivision’s facilities are strategically placed at key international points that ensure faster shipping and delivery, we also have the expertise in handling order fulfillment that guarantees that products reach your customers quickly. 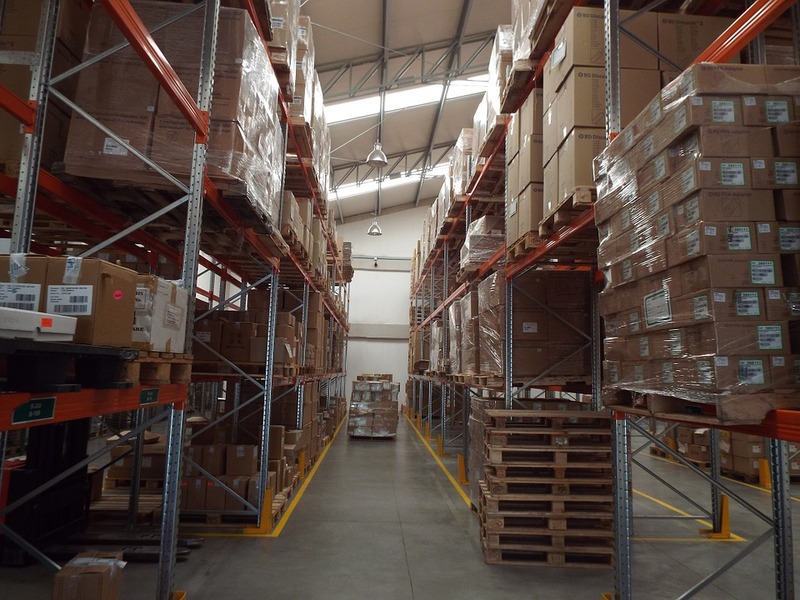 Let us handle the warehousing for you and save you the cost, our experts will pick, pack and ship your products at our facilities letting you benefit from the reduced expenditure, besides, we pool orders from several customers and this enables us to buy in bulk and fetch greater discounts all for your advantage. Our logistics infrastructure is unmatched, we develop your products’ inventory in our facilities that enables us handle worldwide order fulfillments easily and process your orders in the shortest time. 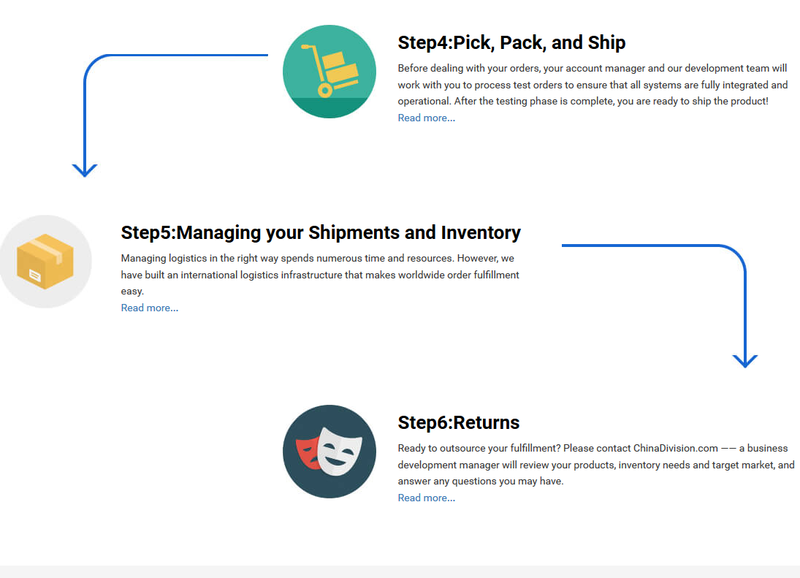 With chinaDivision’s powerful technology you can monitor your inventory and addresses in real time enabling you to manage your orders and reduce shipping costs, our system evaluates the returned products and accordingly updates your inventory thus greatly minimizing chances of future returns. Handling deliveries and orders concurrently can easily lead to errors and poor customer satisfaction, at chinaDivision we especially handle this with detail and help you enhance your customers’ satisfaction and build a reputable brand. Take advantage of our experts and well established infrastructure and systems to focus on faster delivery and growth of your business. ChinaDivision solves your manufacturing and sourcing needs, we have partnered with several product manufacturers and we can link you with the China product manufactures that best meets your needs enabling you to tap into new markets to expand your business. 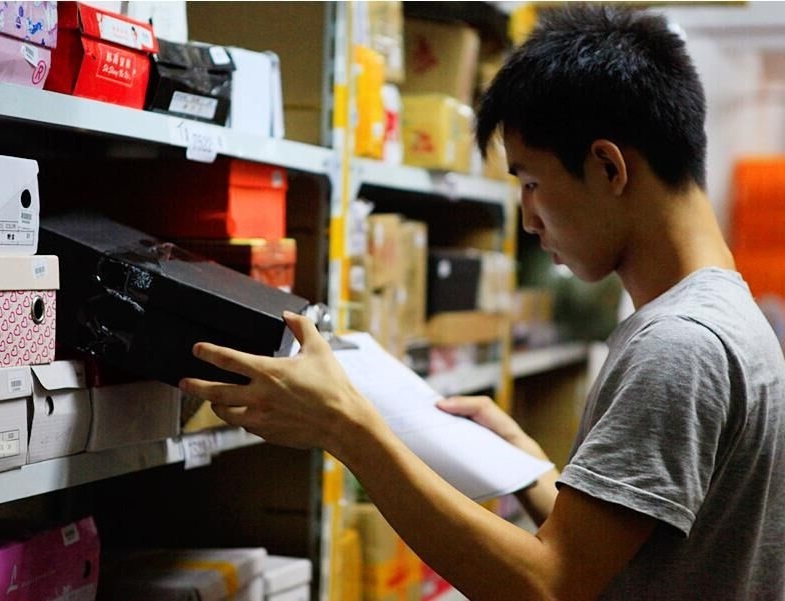 ChinaDivision handles returns the best way all for your benefit, our team determine whether the returned items can be resold hence reducing your inventory loss, whether damaged products can be returned to you depending on the specific case and your preference. At ChinaDivision we help you build your brand and create a unique brand identity, with competition from other e-commerce companies like Shipwire and amazon FBA, our concern is to strive for customers satisfaction we therefore focus on offering unique services. ChinaDivison allows you to have custom shipping boxes and envelopes that enhances a direct interaction between you and your customers, you can also have custom package labels applied to your products on shipping and make a brand identity among your customers. At ChinaDivision we also fulfill your needs of managing customer relations and marketing by providing services several product inserts such as newsletters, greeting cards, flyers and giveaways as inserts into your products during shipping. ChinaDivision can also help you with custom package design for specific products during certain dates such as Christmas, Easter, mothers and fathers days and valentines days. We also strive to accomplish same day fulfillment by coordinating printing and packaging with regional pickup times to ensure processing and shipping of orders received same day. As ChinaDivision works all round to ensure a competent provider of e-commerce fulfillment service along side Shipwire and Amazon FBA, we have positioned ourselves to save you the precious resources of time and money by partnering with major carriers that provide shipping with speed and security to your customers promptly. ChinaDivision also makes it possible for you and your customers to track your products on transit through a website application that display tracking information using product package ID and carrier. ChinaDivision provides your fulfillment operations through one efficient platform by managing your sourcing, tracking, creating your inventory and customer relations. through your inventory we alert you on updating stock and the information on changes on your products demands. we also monitor and verify addresses and hold any product we identified with invalid address, all this is updated to via e-mail and system alerts. ChinaDivision also does order grouping which enables single packaging of multiple products destined for one customer, this saves you the price of packaging and shipping to your customer. Expand your business and explore greater markets through the well established ChinaDivision. Are you looking for reliable ecommerce order fulfillment services? Look no further because you have found one in ChinaDivision. If your trading region is North America and/or Europe then we are glad to partner with you and help you to source products from China whenever you have an order from your customer. Alternatively, we can save you some hustle and bustle by picking, packing and delivering orders directly to your customers. We can also make the delivery direct to your warehouse in case you are the one making the order. In partnering with ChinaDivision, you will get a free warehouse in China so you won’t have to worry about storage and associated costs in case you don’t have your own warehouse in China. Our services will ensure that your business is more efficient and cost effective as we will allow you to sell more and spend less. Reliability is our backbone and that is why we are the undisputed market leaders in China product sourcing. 1. You get to offload some tasks and concentrate on what you can handle effectively. ChinaDivision will enable you to offload warehouse management, fulfillment, pricing and packing of products, shipment, order processing, and products management. 2. Shipping: poor shipping services usually lead to late deliveries and this is the major cause of customer dissatisfaction when dealing with any product. However, with ChinaDivision you don’t need to worry about that as we will ensure that your products are picked, packed and shipped to their destinations on time. 3. When you have reliable order fulfillment services, you get the chance to focus on the product rather than logistics and thus you are able to strengthen your brand. 4. The ultimate benefit is that you will stay ahead of your competition at all times. 1. Reduction in transit costs and time: our facilities are located strategically near Hong Kong and Shenzhen international parcel processing hubs and this ensures that products can move to their destinations quicker. Since we are specialized in logistics, we enjoy economies of scale that you might not be positioned to enjoy. However, when you partner with ChinaDivision, the benefits are bound to trickle down and ultimately you will save on logistics expenses. 2. Specialization: we are order fulfillment experts as much as you are an expert in product development. Leave product fulfillment to us and focus on brand strengthening. 3. Money saving: our quantity discounts and economies of scale will ensure that you save on shipping costs. You can enjoy the savings yourself or transfer them to your customers. 4. Effective management of logistics: the amount of time and resources that you will spend when you partner with us is far much less than what you are used to spending. However, with our unique strategies and international infrastructure, your logistics will be handled in the best way possible. 5. Superb inventory system: our picking, packing and storage services ensure that we do all the hard work for you as far as inventory management is concerned. Furthermore, you get to enjoy a free warehouse in China. In case you are wondering what makes us unique and superior to Shipwire and Amazon FBA; well, just think of a free China warehouse for your products! That is not all, the mere fact that we source from China puts us ahead of competition considering that most manufacturing firms are located in China. Our international shipping systems are cost friendly and consist of reliable networks and infrastructures. You even get to enjoy customized packaging and delivery of products. Contrary to Shipwire and Amazon FBA, we are never overwhelmed with orders and thus we always ensure that deliveries are timely and the products are intact. Therefore, choose ChinaDivision today and outdo your competition. The company uses cutting-edge technology to streamline such processes like fulfillment, delivery, and returns. Meaning you can now start shipping items to new markets hassle-free at just a single click of the button. Below are the steps you should take. II. The next stage is sourcing which can be done either by yourself or with help from our experts, which is highly recommended. We are your 1-stop solution for all sourcing & manufacturing needs. IV. Picking, Packaging, and Shipping. Before making the orders public, a personal account manager and representative from our development team will help in processing to ensure that all systems have been fully-integrated and are operational. After the preliminary testing phase is done, you can now proceed forth with shipping. V. Managing Shipments and Inventory. Handling logistics the correct way often takes time and resources, but luckily on how to import from China ChinaDivision has a global logistics infrastructure which makes meeting international orders easier. VI. Returns. In cases where making a return is necessary, just contact one of our experts to review the products, inventory needs, overall target market and answer any questions you might be having. a) Inventory management. We have the facilities to keep all your stock inventory at our warehouses, and when sourcing from China ChinaDivision shall pick, pack & ship the items within just a few minutes. This process also includes receiving incoming products, retaining QA merchandise samples and rotating stock with maximum attention to detail. a) Every procurement process is automatically synchronized, you only need to log into our software to perform tasks. They also have great Enterprise features such as CRM, ERP, Analytics and so on. These offer a complete 2-way synchronization system between marketplaces that allow selling of Chinese products online. b) Staff members are professional, caring and ready to work with all types of customers. Moreover, they have a strong policy on insurance and customers are given full ownership of case during the purchase process. c) Items are sent out carefully packaged to minimize chances of breakage during delivery, plus orders are fulfilled fast and usually take less than a week to meet. Fragile items will be kept separately from others with an additional layer of protection to avoid hard-surface contact during transportation. In summary, as the No.1 China sourcing agent ChinaDivision promises to give you the level of support that only a dedicated order fulfillment center can provide. Likewise, the center is ready to customize shipping labels as well as packaging slips to showcase your firm’s profile info & logo. Very few shipping logistics companies allow their customers to do this, but we offer such services because our clients are special to us. During peak holiday season when there are excess orders to be met, we can work overtime just to ensure they are completed. Crowdfunding and Kickstarter fulfilment basically stands for funding of projects through monetary contributions online, with sources such as from China or other countries. As ChinaDivision, we provide free warehousing, picking, packing services, shipping from China to worldwide as well as helping customers source goods at the cheapest costs. For customers who run a Kickstarter or crowdfunding project, we can also work on providing order fulfilment service for crowdfunding or kickstarter, which will help your project. If you need order fulfilment, we will simply review your products and give you a quotation. If you need direct shipping of products, we can also ship for you through Kickstarter international shipping. 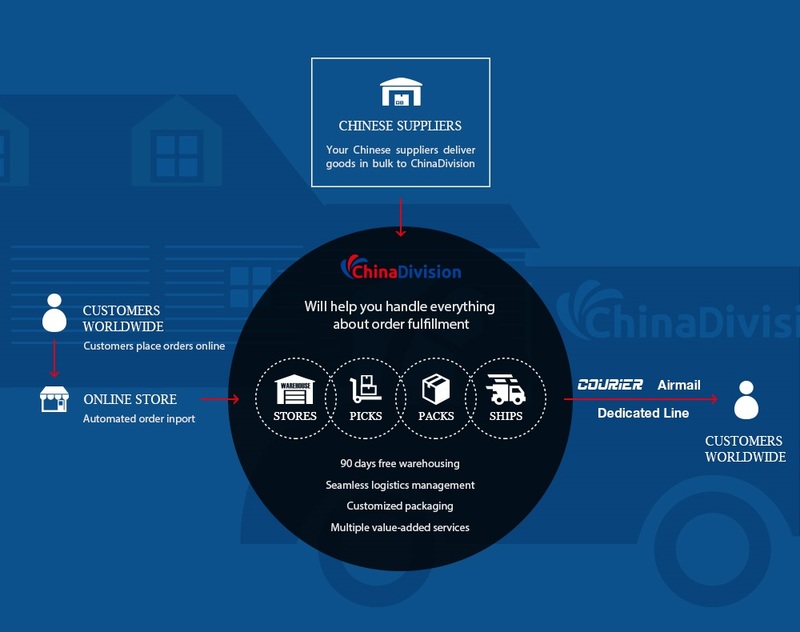 If a client has goods that need to be transported from one place to another, or even orders that need to be shipped from a warehouse, ChinaDivision will help to easily pack, and deliver the products to the designated destination such as new markets with the help of a powerful technology that we use. As a client, you simply need to contact us with your order, such that our business development manager can be able to review your products, needs, as well as target market for the goods. You can then set up an inventory for your goods with the help of our warehouse teams. 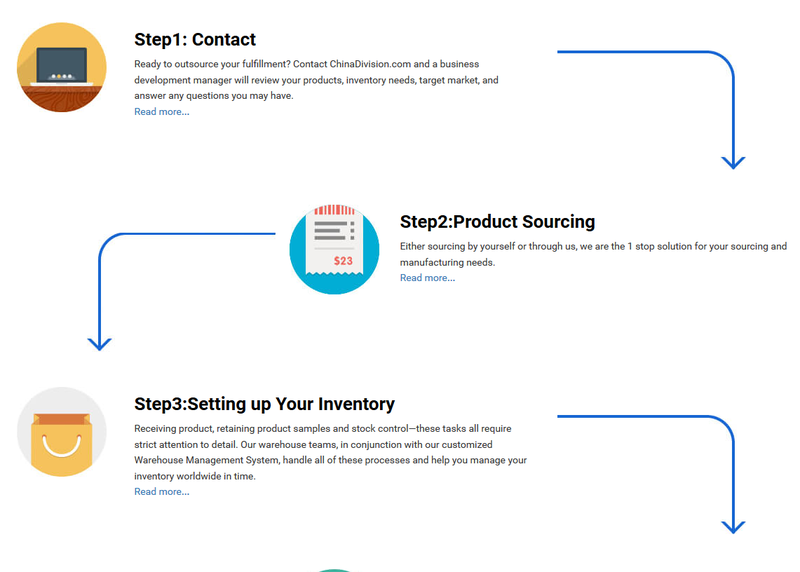 The development team will then enable you to process test orders, which ensures systems are operational, so that your products will be ready for shipping. In terms of logistics, you do not need to worry as we will help you manage the logistics for your goods in the right way through an international infrastructure, such that your goods are able to arrive at the right time. Goods will also be stored freely in the warehouse before shipping or transportation. Our main clients of focus are those who do E-commerce online businesses . In terms of returns, you do not need to worry if your goods are damaged, as we have a customised Returns Management System, that determines if a product is suitable to be returned to the inventory. A damaged or open product returns can be properly disposed or even returned to the shipping source on a case basis. This can add up to a Return On Investment income. By use of ChinaDivision services, the client can also be able to grow his/her business through meeting delivery deadlines for the business, and therefore easier expansion and better transactions. We are also strategically located in China, an advantage in reducing the transit time between you as the client and your customers. The inventory is also easily streamlined and managed, and therefore, you do not really have to worry about how to manage the inventory of your goods as the client as it will be catered for. When choosing a company for managing of your projects, for instance if you have a Crowdfunding or Kickstarter project, it is important to take into consideration the needs of your project, and the company that will be able to fulfill those needs. That is why ChinaDivision comes in handy, as we will focus on your requirements and meet all the needs for your business and ideas that you may have. Whether you want local or international shipping or transportation of your goods, creation of inventory, or printing of logos, we will be able to provide the services through the best means possible. We offer order fulfilment, crowdfunding fulfilment, and Kickstarter fulfilment services, to offer effective solutions for all your needs at the cheapest cost possible.